The German word for “bird” is “Vogel,” which is especially fitting given the way photographer Kimberly Vogel seems to flit about from continent to continent, Canon SX120 in tow. 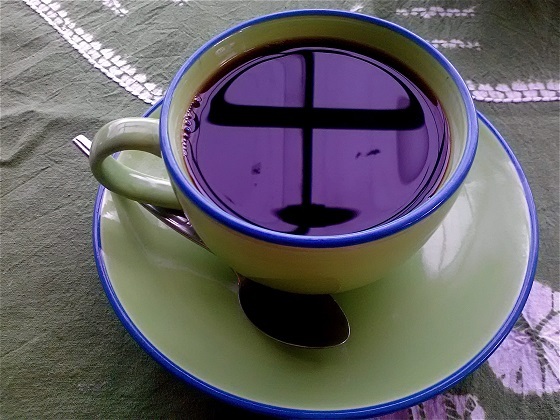 The images she captures have the power to transform a subject as banal as a cup of coffee into something downright sublime. She recently unleashed a new website to document her travels. In recent years, this emerging American artist has visited Japan, Sweden, Tunisia, Palau, and Thailand, among others. She draws inspiration from the sites she sees and the people she meets, crediting Polish photographer Piotr Kulczycki of www.worldinmylens.com, as an inspiration. “He’s visited and photographed something like 50 different countries,” she pointed out, the admiration in her voice more than apparent. Given a few more years, Vogel might just have him beat. Recently, I had the opportunity to chat with the photographer about her work. Here are a few highlights from our conversation. How do you pick a travel destination? KV: The most important things to me are a country’s architecture and its food. What is the most challenging part of travel photography? KV: Sometimes it can be hard to capture on a camera how amazing something really looks. If I can get a photograph to turn out how I see it through my own eyes, then I’ve succeeded. Do you dabble in other artistic media besides photography? KV: Yes. I also do oil painting, taking ideas from my photography. Are any of your paintings available online? KV: Not yet, but stay tuned. 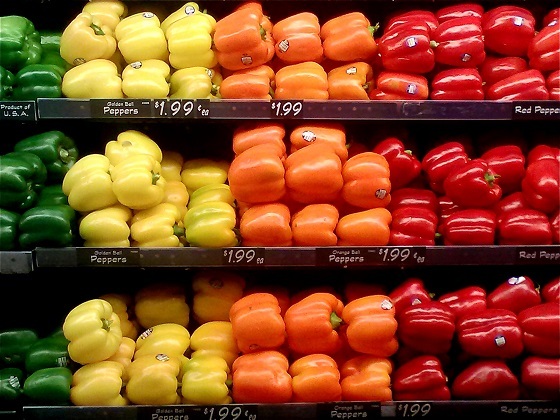 Your work is very colorful. KV: I like high contrast compositions and large blocks of colors, especially colors that wouldn’t otherwise seem to go together. My photographs are never really premeditative. If something catches my eye, I’ll become inspired. Of all the travel photos you’ve taken, which is your favorite? 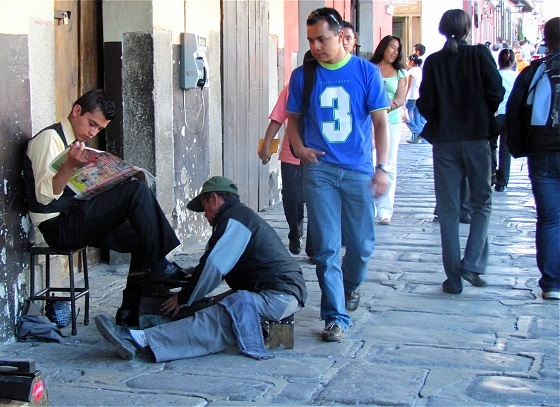 KV: In Guatemala, I photographed a kid getting his shoes shined. This photo was captured in a high-traffic area, and yet he was so absorbed in his own little world that he hardly noticed; he just sat there reading his paper and getting his shoes shined as the world passed by around him. What’s the strangest thing that’s ever happened to you while travelling? KV: I once got lost in an Arabic souk, which is a market shaped like a labyrinth. The more you try to find your way out, the more you get lost. I almost had a panic attack, and then I just sort of photographed my way out. Is it dangerous to travel alone in a foreign country? KV: I do research on the countries I visit beforehand. And yes, it can be challenging for a woman to travel alone. 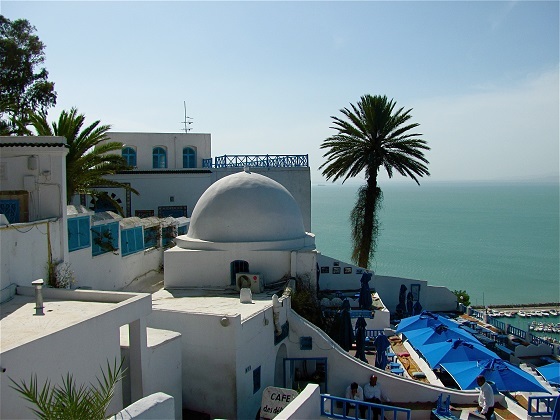 For example, when I visited Sidi Bou Said [in Tunisia], I learned that women were not permitted outside during the day. Female tourists were allowed, though at times it felt as if we were simply being “tolerated.” It was uncomfortable at times. What would be your advice to those cultivating an interest in photography? KV: Take as many pictures as you can. Bring your camera with you everywhere, because you never know when you’re going to find something inspiring. What’s the best artistic advice you’ve ever received? KV: Rules are meant to be broken. You open the door to greater creativity when you don’t limit yourself. I, for one, can’t wait to see what images transpire. Besides her main website, Vogel’s photography is also available for purchase at http://society6.com/KimberlyVogel.